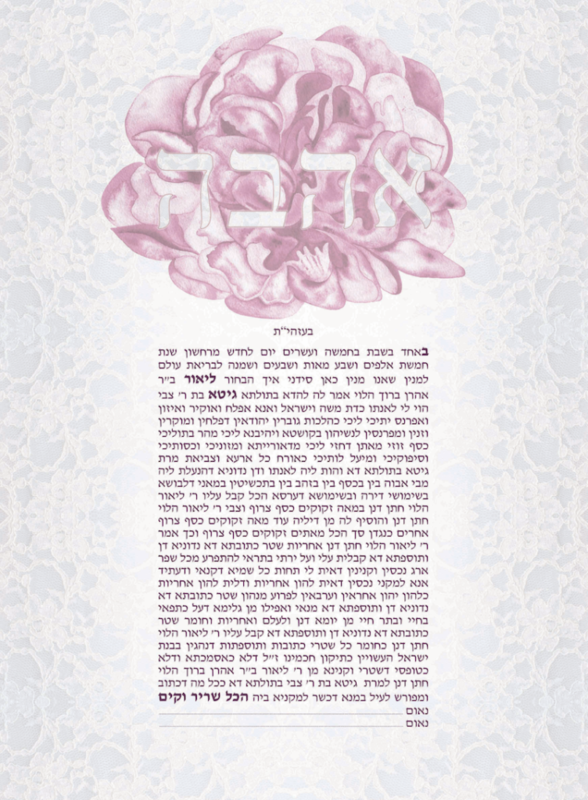 This Floating Floral Predesigned Ketubah crowns a detailed, intricate and unfurling chrysanthemum floating above the text. 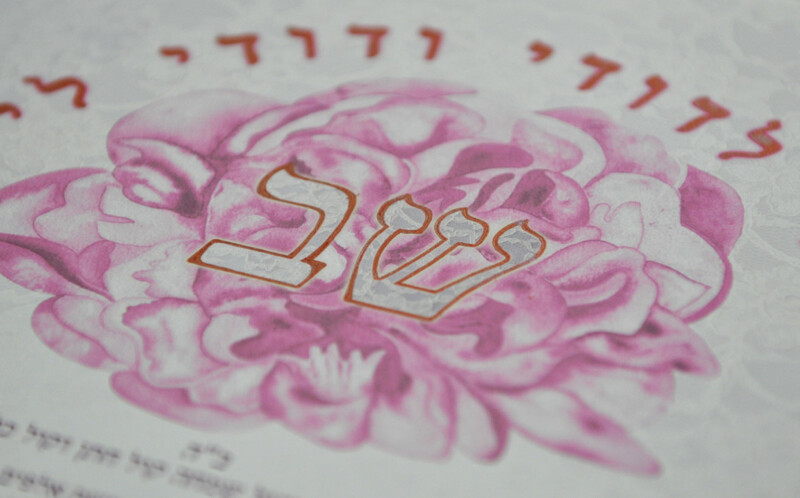 This visual harvest invites associations of blossoming, nature and beauty. The flowers gentle pastel pink colour palette is complemented by and rendered through detailed and intricate brush work of the petals and the choreography between these dancing and awakening forms. 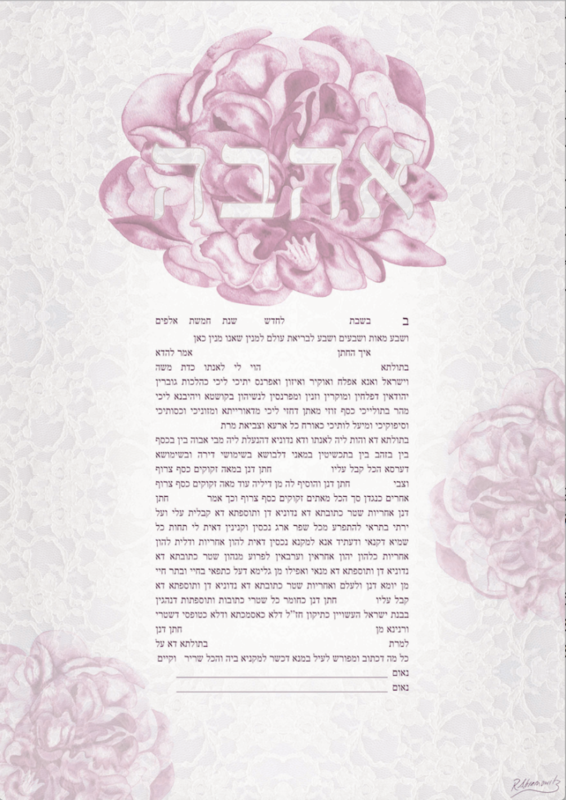 In this way, the lace veil visually and conceptually supports the bridal and floral associations of the Ketubah design itself. 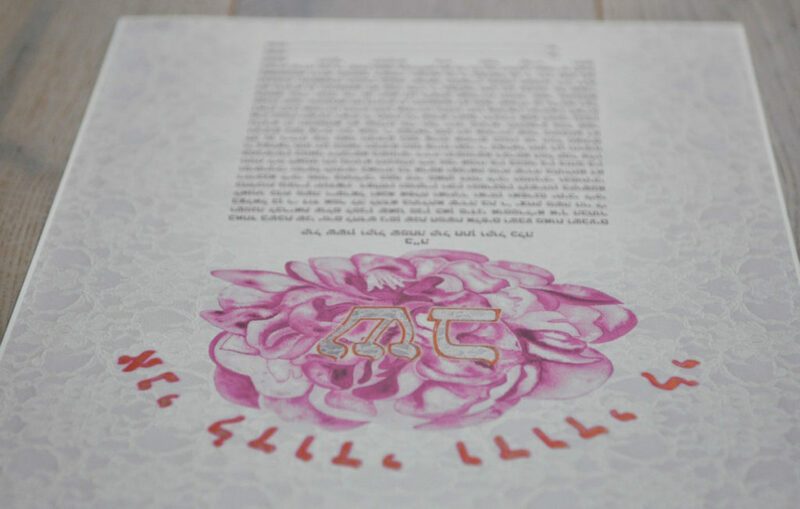 Headlining the Ketubah and running across the flower is the Hebrew word “אהבה / Ahava ” translating as Love. 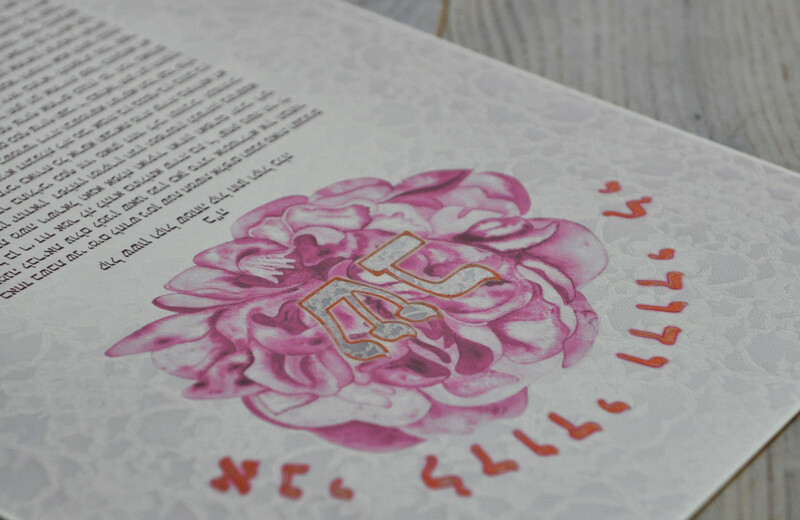 It too features a lace texture (visually tying into the background with soft maroon glows that match the colour of the text). 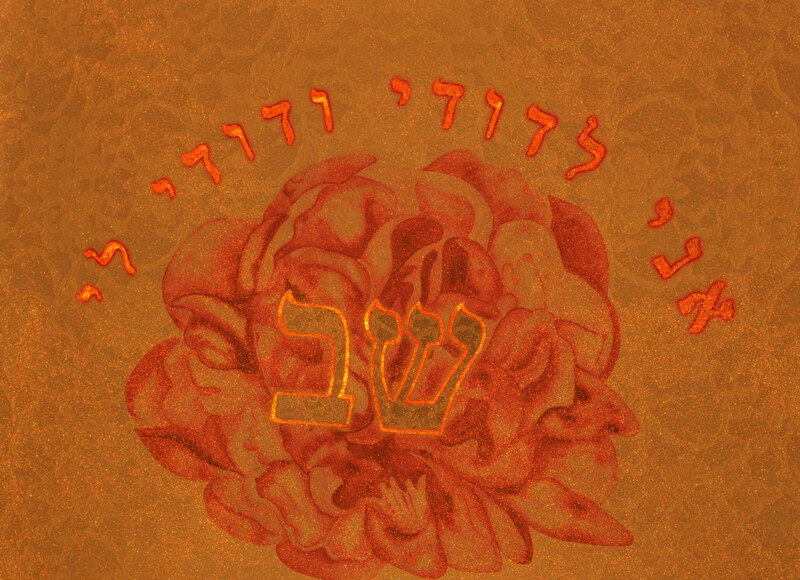 However as seen in the photo(s) above, this can be substituted for the initials of the couple or any other meaningful word. 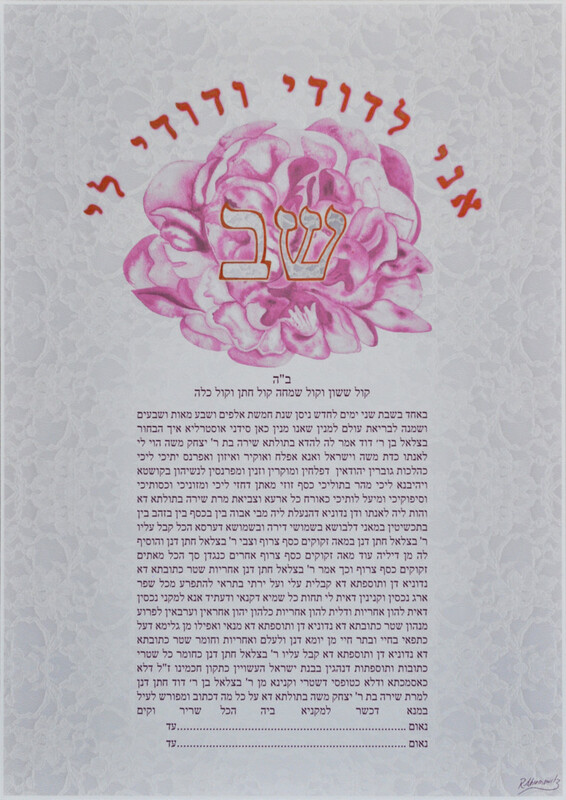 Please also note, with this Ketubah there are a few other composition options available with the signature flower scaled, arranged and cropped into different designs. I’d love to chat if you have any other ideas or want to use this as inspiration. 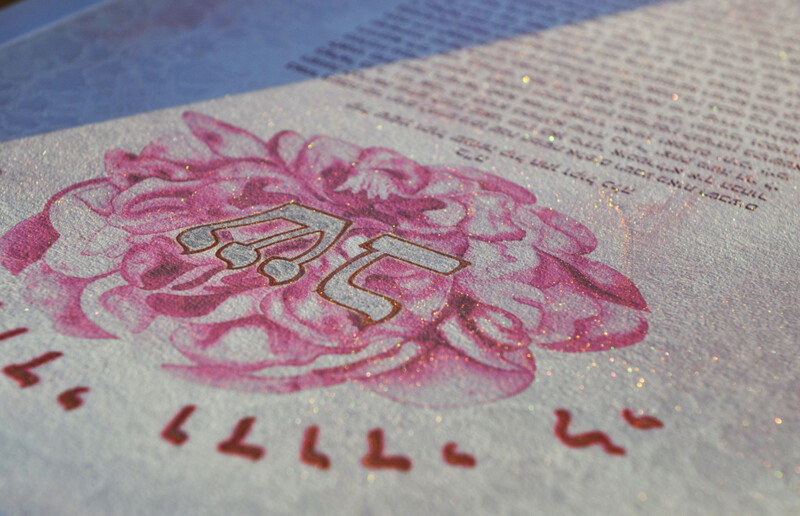 For an iridescent dimension to the work, giving it that extra ‘Razzle Dazzle’ there is the option of dusting it with rose gold power varieties. When under light, this charges the artwork with an illuminated fire.